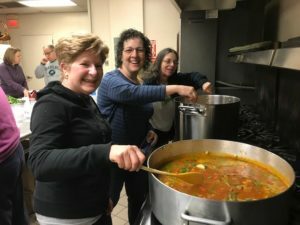 The national Women’s League for Conservative Judaism supports its network of 400 sisterhoods and synagogue women’s groups through innovative programming designed to educate and activate members of every age. It is the voice of the women of the Conservative movement. Its mission is to strengthen and unite synagogue women’s groups, their members, and individual members, and to support them in mutual efforts to understand and perpetuate Conservative/Masorti Judaism in the home, synagogue and community, and to reinforce their bonds with Israel and with Jews worldwide. 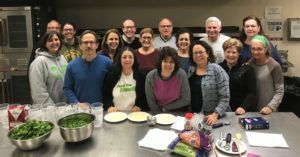 Our own Adath Israel Women’s League, with its dedicated and hard working board and involved members, follows this mission with innovative programming and events designed to educate and delight members of all ages. Our many fundraising efforts have allowed us to fund numerous holiday and synagogue programs and to make large yearly contributions to Adath Israel Congregation. Our organization also helps support the Jewish Theological Seminary with generous yearly contributions. Our goal is for every woman of Adath Israel (affiliation not necessary) to become a Women’s League member and to get involved and attend our many wonderful events. Please help us achieve our goal! 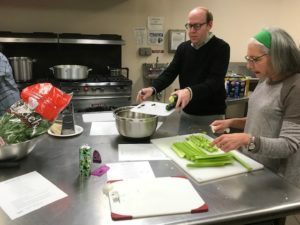 Another Successful MITZVAH DAY Soup Making. 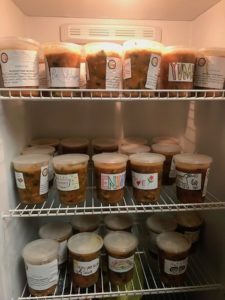 We made 40 Quarts of Minestrone soup for our community members! Big thanks to all of our chefs.